HuntingClothesPro: Sandhill Crane Hunting Season to be Considered! How Awesome! Sandhill Crane Hunting Season to be Considered! How Awesome! If you live in Michigan, you might have a sandhill crane hunting season coming in your near future. 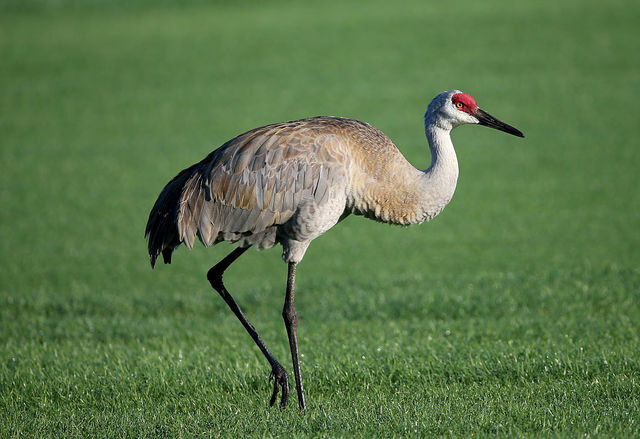 This article talks about Michigan talking about opening a hunting season on sandhill cranes. They just need to get it approved through the U.S. Fish and Wildlife Service. If you are from a state that already has a crane hunting season you probably will think this article is whatever but for some of us that don't live in a state where we can shoot cranes this would be pretty cool. If Michigan can get this to go through maybe Wisconsin and other states around will open a season on cranes too. I feel like the crane population is up and enough to open up seasons on them. Even if you can only shoot one to two of them and then done until next season. What are your thoughts if you live in a state that doesn't have a crane hunting season? Would you like your state to do something like this?